« Our family’s short journey to the Andes mountains, Part III, cont. Orna and Ella are Israeli icon restauranteurs. Their place is a Tel-Avivian institution, and their yam latkes, or pancakes, are very popular, for a very good reason. 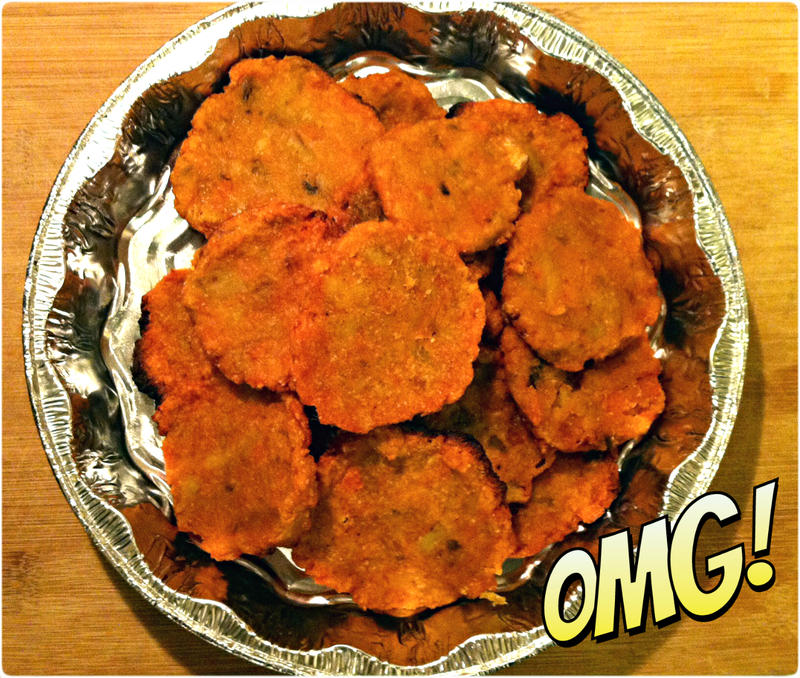 If you’re ever in Israel, be sure to visit their place, and definitely try the yam latkes. 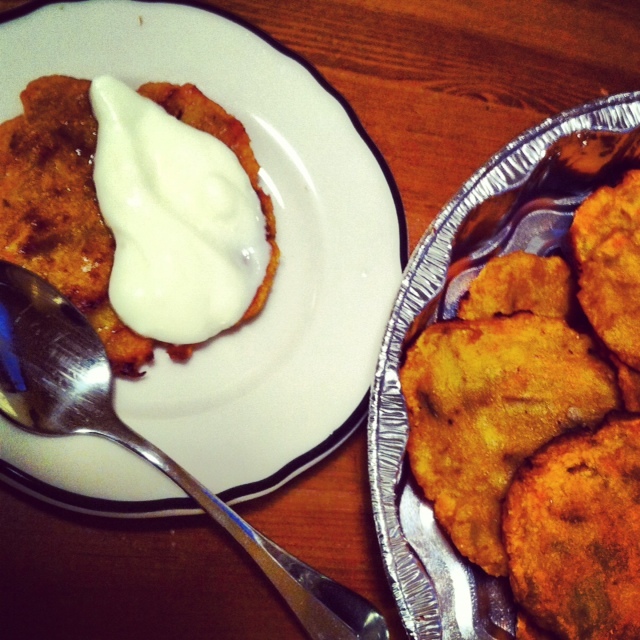 This year, Hanukkah falls smack on Thanksgiving, so a yam latke is a given. Heat oven to 370°f *. Spread some coconut oil on parchment paper on a baking sheet. * my oven seems to me to be less heating, so please start yours with 360°f. Blend the yams with the rest of the ingredients above, without the coconut oil (which is only for greasing the baking sheet). 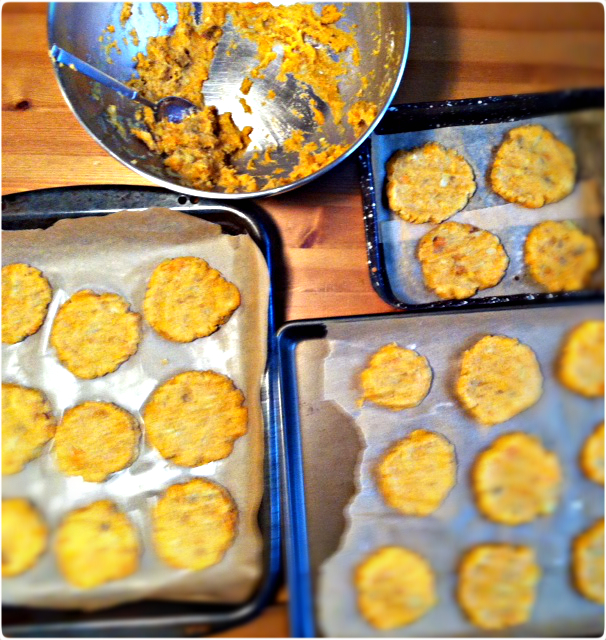 Spread latkes (flatten them) on baking sheet. Put in oven for 40-45 minutes, as you make sure they’re not burned (see no.1 above). Serve with apple sauce, yogurt, sour cream, or chive sauce in original recipe. wow an egg free latke recipe!! i can’t wait to try this. i’ve never had a latke before but this sounds really tasty since i love sweet potatoes.